You will need to spend a lot of time to supervise all tourists’ enquiries, monitoring the guests arrival and departure, communicating with them regarding their needs while they are staying in your property, arranging the property to be cleaned and prepared for your next guests. All this work is time consuming, requires special local knowledge and is not easy to be managed from abroad. BHC Ltd affords you the opportunity of using our local professional knowledge for all marketing and advertising, booking and reservation management, cleaning and laundry services at arrival and departure, guests check-in and out. We ensure that your property will be well maintained and presented for your guests arrival, we will deal with any problems they may have during their stay and each booking to go as smoothly as possible. We will make sure that your property gives you a maximum return, that your home is protected and guaranteeing comfort and security of all your guests. We are providing a dedicated and professional service to all vacation customers, tourists, holiday guests and golfers. We take care of all issues needed, so your rental property to give a warm welcome to all your rental customers in Bulgaria. We will provide you with reservation management - booking calendar, security deposit and payments. On guests arrival we shall transfer the income into your personal account. Our advertising includes high quality photographs and detailed description of your property on our web sites, which have a very good ranking in major search engines like Google, Yahoo and local Bulgarian networks, advertise in Bulgarian and foreign magazines, newspapers and radio stations, brochures. In addition to your specific property advertisement we will supply your guests with more information about the area – beach, golf courses near by your property, shops, restaurants, sights to view, things to do, attractive local events like concerts, exhibitions est. We also are offering to all holiday guests organizing an Air-port transfers /taxi or Rent-a-car/ and excursions to interesting sites in Bulgaria. Full guests support during their stay – information for interesting places near by – restaurants, shops, sightseeing etc. ; assisting for renting a car; assistant in emergency situations etc. We are giving an individual approach to each holiday home. That is why we advertise each property individually, finding the right way for promoting it. We are specialized in the Bulgarian Holiday market and most of our guests are Bulgarian. We are reporting to the owners for all reservations and bookings, so you know exactly when your property is been booked, total amount paid from the guests and received into your bank account. The property advertises is free of charge. 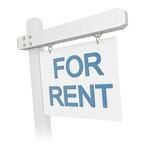 Our letting fee is 15% from the rental income amount when there are bookings done through us.